The Palestinian Ministry of Health has revealed a sharp increase in the number of registered cases of cancer, of various types, where the infection rate in the last three years amounted to 73.1 new cases per 100 thousand inhabitants. According to Al Ray Palestinian Media Agency, the director of the information center at the Ministry of Health, Dr. Atef Mosa’d, showed these results from a report introduced during a workshop held by the ministry about health services for diseases and tumors. 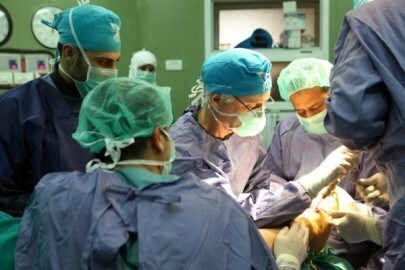 Khaled Thabet, director of the tumors department at al-Shifa hospital, stressed that the increasing number of cancer patients is due to pollution caused by the prohibited weapons used by Israel against the Gaza Strip. The participants in workshop recommended the establishment of a cancer treatment center, in which the patient receives a comprehensive therapeutic service instead of having medical treatment in different places. Most of cancer patients are forces to leave the Gaza Strip to receive medical treatment since the Gaza Strip lack proper medical equipment due the Israeli blockade. A new fatality has been reported in the West Bank of swine flu on Wednesday, bringing the number of West Bank Palestinians who died of the virus to four within two weeks, Palestinian sources revealed. 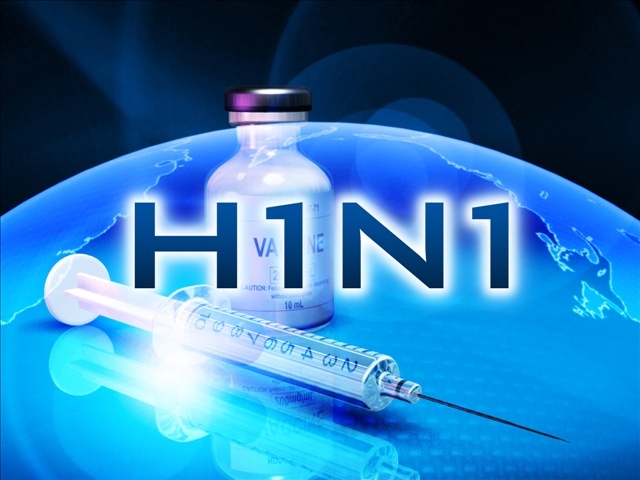 Local sources said that a man died Wednesday morning after contracting the swine flu virus, known as H1N1, a month ago. He died in an Israeli hospital where he was receiving medical treatment along the past month, the sources added. 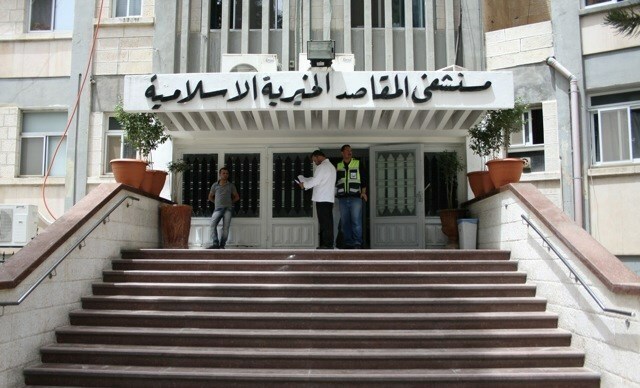 Meanwhile, a new case was separately diagnosed in al-Khalil district, director of Yatta hospital Ziad Abu Zahra said. A one-year-old baby girl was diagnosed with swine flu when she was transferred to a local hospital in Yatta town in al-Khalil Wednesday morning, according to Abu Zahra. She is now in a stable condition after receiving conventional medical treatment, he added. Three other victims were earlier declared in the West Bank of swine flu virus within ten days. 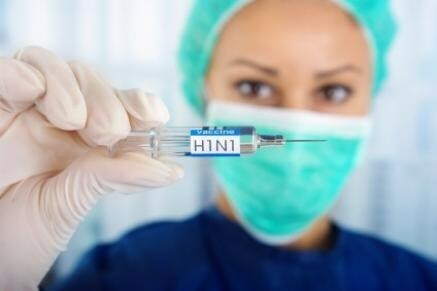 A woman died in the West Bank city of Nablus on Monday of the swine flu virus, known as H1N1, Palestinian Health Ministry said. According to the spokesperson for the ministry Dr. Tarif Ashour, the victim was a 32-year-old woman who had contracted the virus two weeks ago. She was transferred to Hadassah Medical Center in 48 occupied territories where she died, he added. Ashour noted that the new fatality brings the number of West Bank Palestinians who died of the virus to three within a week. Earlier Monday, an elderly Palestinian died of swine flu in Bethlehem while another man died of the same virus last Tuesday. Hamas afternoon Sunday called on the international institutions to join ongoing initiatives aimed at building a hospital in Rafah city, south of the blockaded Gaza Strip. 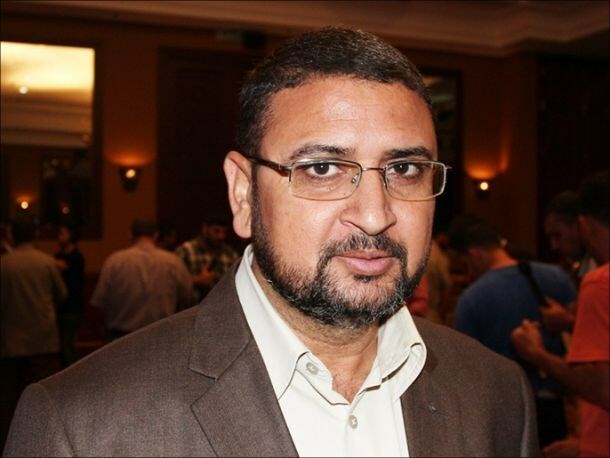 Hamas spokesman, Sami Abu Zuhri, said in statements on Facebook that the moment has come by to rescue Rafah city, urging the world’s activists and institutions to take part in ongoing endeavors to build a medical complex in the area. Abu Zuhri stressed the group’s readiness to provide all necessary data for the concerned parties. Over 162 Palestinians were mass-murdered in Rafah in one single day and night during last summer’s Israeli offensive on the besieged coastal enclave, he said, adding that half of the casualties succumbed to their wounds due to acute shortages in medical staff and kit. A so-called “Friday massacre” perpetrated by the Israeli occupation in Rafah last summer, took away the lives of dozens of Gazan civilians, most of whose bodies were stored in vegetable refrigerators. Activists, journalists and officials launched a large-scale campaign to fund the construction of a medical complex in Rafah, to the south of Gaza Strip, and created a hashtag for this purpose. The campaign also included organizing press conferences and various activities in many areas to highlight the medical needs of the province. The first activity was launched on Friday evening under the hashtag #Rafah_needs_hospital, marking the beginning of a series of activities aimed at realizing the idea of establishing the badly-needed medical complex. A big number of tweets were posted calling for interacting and participating in the activities and shedding light on the desperate need for a central hospital in Rafah. Activist Abdullah Lafi said, "Residents of Rafah were victims of the Friday massacre during the Israeli aggression on the Strip and literally couldn't find a hospital", pointing to the horrific massacre committed in the Gaza Strip on the first of August during the last war on the Strip, when the Israeli Occupation Forces (IOF) unleashed intensive gunfire and shelling after the Israeli soldier Hadar Goldin went missing. The heavy gunfire and shelling led to the killing of about 100 citizens in one day, out of 443 killed in Rafah throughout 51 days of aggression, and the injury of hundreds who haven't received medical treatment due to the lack of a hospital in the area, especially after shelling Abu Yousef al-Najjar Hospital and isolating Rafah from Khan Younis. For his part, Dr. Khalid Abu Nada said: "Do Justice to Rafah, I address all officials…in the government…in the charity institutions…in the national and Islamic forces… Rafah is the only city where there is no hospital; al-Najjar is actually a clinic and not a hospital." Rafah is located in the southernmost of Gaza, its area is 55 Km2 and its population is about 220 thousand people. It is bound on the west by the Mediterranean, on the east by the 1948-armistice line, and on the south by the Egyptian-Palestinian borders. 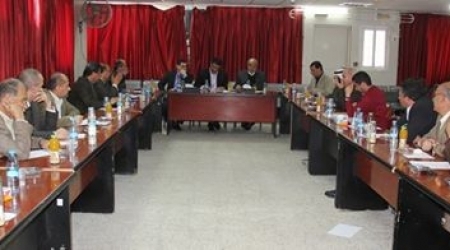 According to Rafah activists, planning for the construction of a medical complex in Rafah started by a committee called Friends of Rafah Medical Complex formed by a number of social figures. 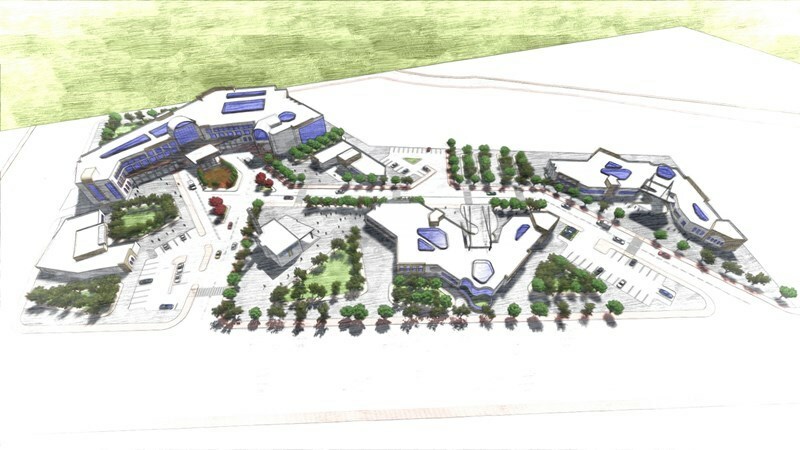 Activist Muhammad al-Sharif said: "The 52-acre ground is ready and so are the engineering plans and the initial perception of the project in accordance with the international standards for healthcare institutions. Moreoever, a founding committee of independent national and Islamic figures is being formed to follow up on the implementation of this governmental project." The committee said that the project will be handed to the Palestinian Ministry of Health after its implementation. The committee is headed by Jamal Abu Hashim with Isa al-Nashar as the treasurer in addition to six members. The ground allocated for the project is located along Abu Bakr al-Siddeek St. in the western area of Rafah, and it can be reached easily as it is not crowded. It provides a possibility for future expansion, the environmental conditions are appropriate with a suitable sea view and the needed infrastructure is available in the area. The campaign concentrates on funding the hospital, hoping that this project will be adopted by the Qatari grant for the reconstruction of Gaza. 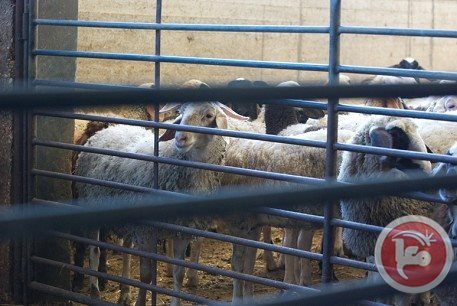 The Palestinian Ministry of Health said 100 people have been infected with Brucellosis, an infectious disease spread from animals to humans, since the beginning of 2015. Around half of the cases were in the Hebron district, Diya Abu Hujeija, director of preventive medicine in the ministry, told Ma'an. 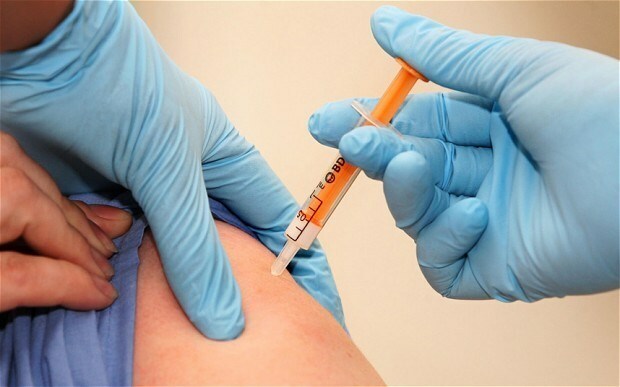 The rate of infection is particularly high this year due to a lack of vaccinations provided by the PA, as well as a lack of awareness about the disease, Abu Hujeija added. Over 401 Palestinians were infected by the disease in 2014, compared to 243 in 2013, 184 in 2012 and 179 in 2011, Ministry of Health figures show. Brucellosis is a highly contagious infectious disease caused by the ingestion of unpasteurized milk or undercooked meat from infected animals or close contact with their secretions. It usually takes several weeks to treat using medication. Dr. As'ad Al-Ramlawi, General Director of the Primary Health Care Department in the ministry of Heath, today said that a citizen from Bethlehem today has died of swine flu virus , H1N1. Al-Ramlawi told PNN that the ministry of health received the news of a death in Bethlehem city, central West Bank, due to Swine flue. He added that the deceased was infected with the virus, then referred to a private hospital in Hebron, and finally to an Israeli one where he died of virus complications. A large convoy of medical supplies is expected to reach the Gaza Strip on Tuesday afternoon, the Palestinian Authority Ministry of Health said. The convoy of 12 trucks set out from Nablus on Monday and is said to be carrying 140 medical packages worth 11 million shekels ($2.7 million). PA Minister of Health Jawwad Awwad told Ma'an that the convoy was sent "by directive of the President and the Prime Minister." He said the shipment contains medicine for heart disease, cancer, digestive and respiratory conditions, and also includes diabetes medication and antibiotics. He said it also contains reagents for laboratory tests, as well as supplies for operation rooms and emergency departments. Ten percent of the shipment's worth was donated by the Islamic Relief in Washington. The Gaza Strip, which has been under an Israeli blockade since 2007, suffers a severe shortage of medical supplies. The conflict between Hamas and Israel last summer saw more than 11,000 Gazans injured. Tension between Hamas and the Fatah-dominated Palestinian Authority has been detrimental to the supply of aid. 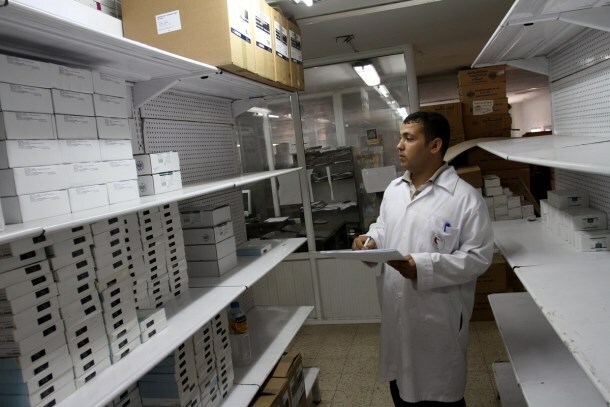 In December, the Ministry of Health accused Hamas officials in Gaza of stealing medicines and supplies sent to the coastal strip. The ministry also said that assistance to Gaza caused serious shortages in the West Bank. 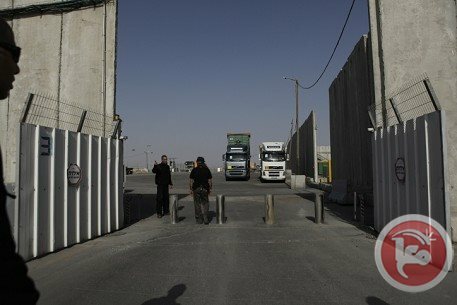 Medical supplies have also reached Gaza from Egypt, through the Rafah crossing, including 220 tons of supplies in December, but the crossing has only been opened four times since October. World Bank warned of the poor health conditions and critical financial status in Gaza, stressing that what is being provided to the Strip is below the required level. Anis Barich, the World Bank envoy for health and humanitarian affairs in the Middle East and North Africa (MENA), declared in a press conference held in al-Shifa medical complex on Tuesday that the World Bank offered a 2-million-dollar project to support the health sector in the Gaza Strip. He added that this project was signed on Monday by Dr. Jawad Awwad, the Palestinian health minister in the consensus government, during their meeting in Ramallah. He underlined that the financial situation in Gaza is very critical, and clarified that the money provided for this project is not enough to solve all health care problems in the Strip. For his part, Yousuf Abu al-Reish, the Palestinian Ministry of Health undersecretary, thanked Barich for his visit and pointed out that they thoroughly explained to him the deteriorating health situation in Gaza, the lack of supplies, and the closure of crossings. Gaza health sector faces increasing crisis as the government of national consensus refuses to pay any operating expenses to the ministry, hospitals, and the cleaning staff who have recently gone on strike to demand overdue salaries. After the war on Gaza last summer, the Kingdom of Saudi Arabia donated 55 million dollars to support the health sector in Gaza, but only $100,000 reached the Strip, whereas the money was inserted in the Palestinian Authority budget under condition of supporting the health sector in Gaza. Today, the Government of Finland is responding with a contribution of €2.5 million to the cash flow problems of East Jerusalem Hospitals as a result of the Palestinian Authority's financial crisis. The contribution, which is channelled through the PEGASE mechanism will help to cover part of outstanding costs of referrals of patients for treatment to East Jerusalem Hospitals by the Palestinian Ministry of Health. With an overall contribution of €38.5 million since 2012, the EU and donors have supported referral costs over a period of two years (January 2012 to December 2013) for patients referred for treatment in East Jerusalem Hospitals by the Palestinian Ministry of Health. By addressing this severe debt problem, hospital facilities remained open and medical staff continued working to provide much-needed specialized health services to patients from across West Bank and Gaza. The EU mobilizes these funds through the ad hoc PEGASE window in close coordination with the Palestinian Ministry of Finance and in line with the jointly agreed upon criteria. ''Over the past years the EU and its Member States have increased their support for East Jerusalem in an effort to improve living conditions and the resilience of Palestinians in the city. This support is particularly important at the moment given the financial pressures on the Palestinian Authority. The East Jerusalem Hospitals are one of the few operational Palestinian institutions in the city that do not just serve Jerusalemites but also Palestinians from the West Bank and Gaza Strip", said the EU Representative John Gatt-Rutter. "I would like to thank Finland for its generous contribution through the EU's PEGASE mechanism to cover part of the outstanding costs of patient referral. This demonstrates once again the fruitful cooperation between the EU and its Member States in supporting the Palestinian people." Finland's Representative in Ramallah Ambassador Pirkko-Liisa Kyöstilä confirms that Finland is committed to support the Palestinians and especially provision of basic services such as health. 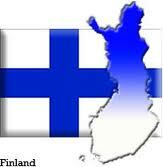 In addition to the support through Pegase, Finland also provides assistance to a mobile breast cancer clinic of the Augusta Victoria hospital. Most of the European Union's assistance to the Palestinian Authority is channelled through PEGASE, the financial mechanism launched in 2008 to support the PA Reform and Development Plan (2008-2010) and the subsequent Palestinian national plans. As well as helping to meet a substantial proportion of its running costs, European funds support major reform and development programmes in key ministries, to help prepare the PA for statehood. Since February 2008, over €1.77 billion have been disbursed through the PEGASE Direct Financial Support programmes. In addition, the EU has provided assistance to the Palestinian people through UNRWA and a wide range of cooperation projects. The East Jerusalem Hospitals serve as the main centres for specialized care within the Palestinian health system. 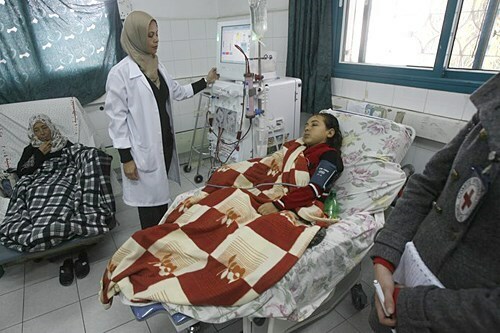 Patients needing services and procedures that are not available in the West Bank and Gaza – such as specialist oncology, renal care and cardiac surgeries - are referred for treatment in the East Jerusalem Hospitals Network facilities by the Palestinian Ministry of Health. There are six health institutions in East Jerusalem: Augusta Victoria Hospital, Makassed Hospital, St Joseph Hospital, St John Eye Hospital, Palestinian Red Crescent Maternity Hospital and Princess Basma Rehabilitation Centre. The EU is supporting all of these six institutions through a programme with World Health Organization. A delegation of Spanish pediatric orthopedic surgeons arrived in the Shifa Medical Complex in Gaza to conduct check-ups and surgeries for a number of patients. The delegation, headed by Dr. Philippe Noya and coordinator for the World’s emergency Doctors project Dr. Verunka Lazzara, was received by the Director General of the Shifa medical center, Nasr al-Tatar. Tatar hailed the efforts made by the Spanish doctors in favor of Gaza’s patients and injured children, most of whom left wounded from last summer’s Israeli offensive on the besieged coastal enclave. The envoy is set to carry out medical checks and surgeries for a number of patients in coordination with the panel of orthopedic practitioners at the Shifa hospital. Head of the surgery unit at the Shifa center, Marwa Abu Saada, meanwhile, said a report is set to be dispatched to the Spanish branch of Doctors of the World so as to update the organization on Gaza’s estimated needs in pediatric orthopedics. The Ministry of Health in Gaza asked the Palestinian unity government to solve the health crisis in the Strip, urging it to revise its policies towards the Strip and its health services. The spokesman of the Ministry, Dr. Ashraf al-Qudrah, said in a statement on Sunday the government has been ignoring the cleaning companies’ financial dues, prompting them to threaten a return to escalatory measures. He added the government is also ignoring the need for filling job vacancies in the health facilities. Qudrah called for solving the crisis of civil servants in the health sector on the administrative and financial levels. “They have not received their salaries for eight successive months, which has dangerous implications on their living conditions and on the overall health services”. He called on the Palestinian factions along with the Palestinian Legislative Council to direct the government’s policies in both Gaza and West Bank toward solving the health crises. 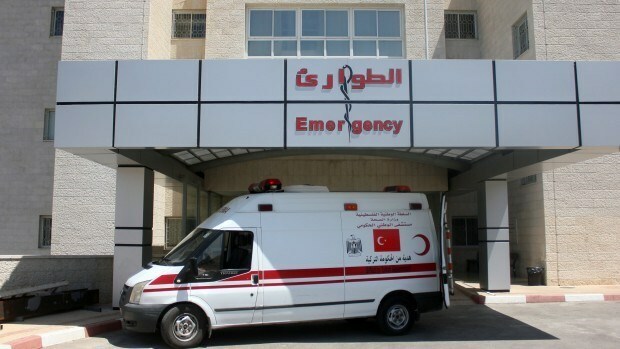 Al-Makassed charitable hospital in occupied Jerusalem said it needs 30 million dollars over the next three years to carry out important development projects and pay debts. Director of the hospital Rafiq al-Husseini stated on Monday that the hospital is still in dire need for financial support to develop its infrastructure and renew its medical equipment, despite the fact that 2014 saw internal administrative reforms. Husseini affirmed that over the past year, a number of measures and financial reforms led to an increase in revenues of no less than 30 percent, but they were not enough to cover the hospital's financial obligations, especially towards its employees and suppliers. He pointed out that the hospital was able to collect more than five million dollars during the last year and open new channels of communication with foreign donor parties in an attempt to find the needed support. The World Food Programme notified the Palestinian Health Ministry of its intent to suspend a deal for supplying bread to Gaza hospitals as of the onset of 2015 due to scarce funds. Head of the department of warehouses and general supplies at the Health Ministry, Bassem Barhoum, said the suspension of bread deliveries to Gaza hospitals will result in providing the hospitalized patients with bread-free meals. Barhoum voiced concerns over the ministry’s incapacity to seek out other alternatives to meet the patients’ needs, pointing out the financial and economic difficulties currently faced by the war-battered Gaza Strip. 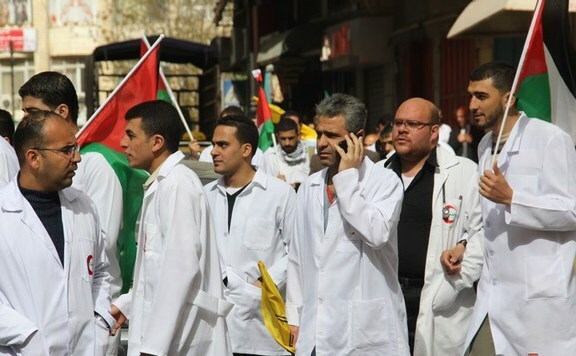 A state of complete paralysis hit the public health sector in the Gaza Strip on Sunday as a result of the general strike that was staged by medical civil servants to demand the payment of their salaries. Spokesman for the health ministry Ashraf al-Qudra said on his Facebook page that all public hospitals in Gaza came to a standstill today after all medical staff went on strike in protest at not receiving salaries for seven consecutive months from the unity government. Qudra added that the strike brought to a halt all medical activities in operating rooms, newborns' nurseries, intensive care units, delivery rooms and other vital sections inside all public hospitals. He warned that the strike would constitute a threat to the lives and health of many patients, noting that there are 200 surgeries and other emergency operations scheduled for today. The union of public employees in Gaza had threatened to take protest steps to pressure the unity government to pay the salaries of all civil servants.